Starting now, Google has begun the next step in the evolution of the Android Market and are calling it Google Play. 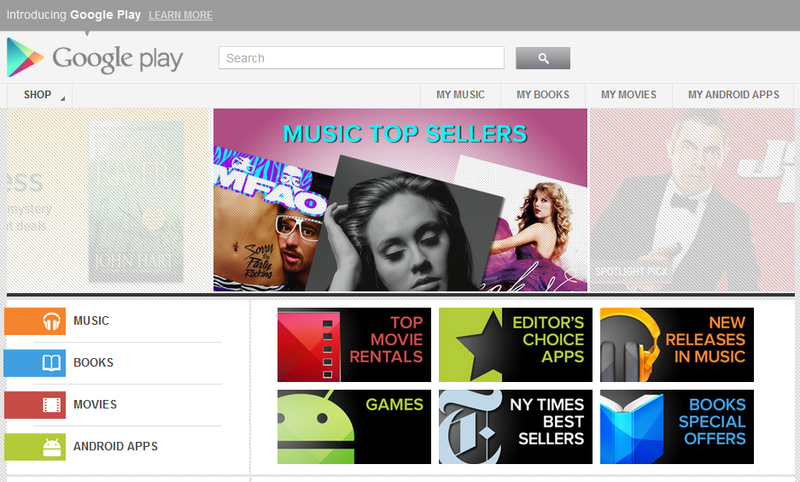 The Android Market name is being retired, but no worries, Google Play looks exactly the same as the Market. Android 2.2+ devices will receive an updated Google Play Store within the next few days and things will go on as usual. To celebrate, we’ll be offering a different album, book, video rental and Android app at a special price each day for the next week in our “7 Days to Play” sale.